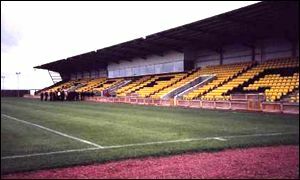 Accrington Stanley play the second and last game of their Scottish Tour as they take on East Fife at the BayView Stadium. Stanley go into the game on the back of a 1-0 loss to Partick Thistle and will hope to end Pre-Season in style tonight in Scotland. Accrington Stanley will conclude their Scottish Tour tonight as they take on East Fife at The Bayview Stadium. The Reds go into the game off the back of a 1-0 defeat at the hands of Partick Thistle on Saturday afternoon for Partick Thistle match report click HERE. Stanley are expected to have a full strength squad available with no injuries or suspensions being reported. After the game the club will head back to East Lancashire as they take on Coca-Cola League Two for the first time in over 40 years.